It's led to a serious crisis for Boeing. 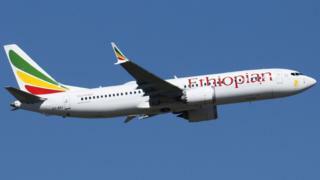 The company manufactured the 737 Max 8 plane that was involved. The model has now been grounded globally as the pressure mounts in a search for answers. The race is on for investigators to find answers - and fast. The flight data recorder (FDR) and cockpit voice recorder (CVR), or black boxes as they are often called, arrived in France on Thursday morning for inspection by the Bureau of Enquiry and Analysis for Civil Aviation Safety (BEA), the French version of the UK's Air Accident Investigation Branch. Now they've got the black boxes, what comes next? Timing - what can we expect?